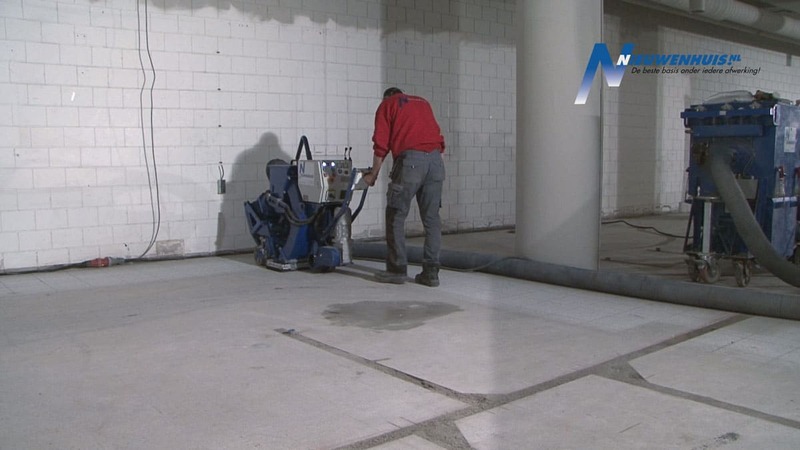 Dust-free blasting of floors is applied to hard surfaces such as concrete, steel, plastic etc. Removing pollution such as on cementitious surfaces; skid or mud layer, and on metal surfaces; rust, coating or mill scale. Direct application of the finishing layer is possible (even while blasting). 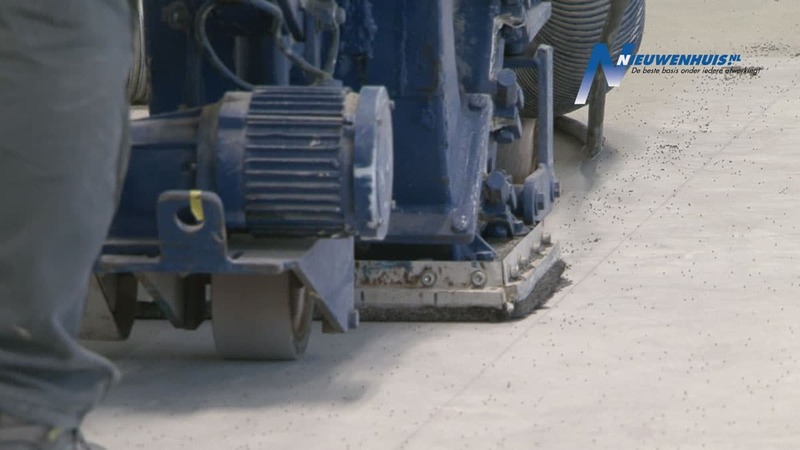 Depending on the type of work, blasting machines are used with a weight of 75> 1500 kilos with a maximum capacity of 2,500 square meters per hour. 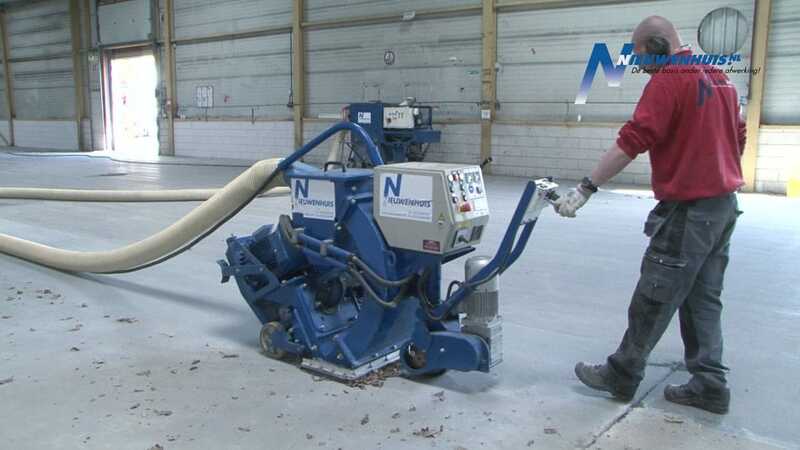 The most used machines put 350 – 600 kilos on the floor. Extraction systems are available in various capacities and are tailored to the machines used. 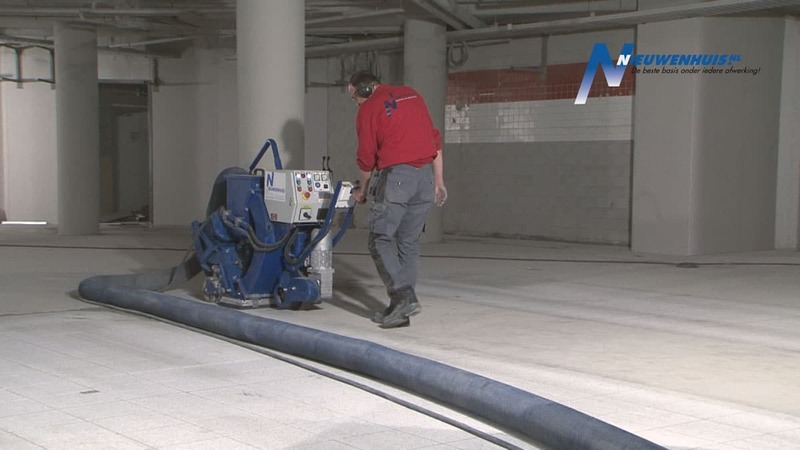 Both the blasting machines and the extraction systems can operate with their own power supply so that almost all work is possible on almost every location.